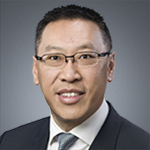 Management Team - CWC Energy Services Corp.
Duncan is a Fellow of Chartered Professional Accountants and Chartered Financial Analyst with over 28 years of corporate finance and energy services experience. 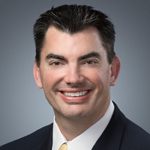 In addition to his role at CWC, Duncan is President & CEO of JAFETICA Capital Inc., a private equity and corporate finance consulting practice that specializes in energy service opportunities. In 2005, Duncan was President & CEO of his own private energy service company, Richmound Energy Services L.P., which was sold to a public company that later became Essential Energy Services Ltd. ("Essential"). From 2006 to 2008, Duncan took on the role of Vice President, Business Development and Chief Financial Officer of Essential and helped build this public company from an enterprise value of zero to $410 million before departing. 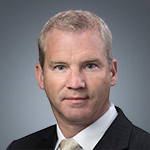 From 1998 to 2004, Duncan held Vice President & Director positions in corporate finance with both Deloitte and Ernst & Young where he led financings and mergers and acquisitions in the energy services industry. 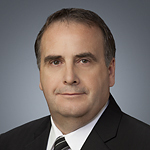 He currently serves on the Board of Directors of the Canadian Association of Oilwell Drilling Contractors ("CAODC"), Petroleum Services Association of Canada ("PSAC") and on the Board of Governors for the Canadian Energy Executive Association. He is the Chairman of the 2018 PSAC STARS & Spurs Gala Committee, an industry fundraiser in support of STARS air ambulance. 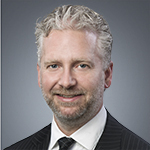 Duncan holds a Bachelor of Commerce degree from the University of Alberta. Stuart is a Chartered Professional Accountant and U.S. Certified Public Accountant with over 23 years of accounting and finance experience. From 2010 to 2017, Stuart was the Vice President, Finance and Controller of Canadian International Oil Corp., a private oil and gas company and from 2008 to 2010 he was the Acting Chief Financial Officer and Controller of Mahalo Energy, a public oil and gas company with operational assets in the U.S. From 2005 to 2008, Stuart was the Controller of Essential Energy Services Trust and its predecessor company, Avenir Diversified Income Trust, working directly with CWC's current President & Chief Executive Officer. From 2000 to 2005, Stuart was a Senior Manager with Ernst & Young in the Transaction Advisory Services group performing financial due diligence procedures on merger and acquisition transactions. Prior thereto, Stuart spent 5 years with PricewaterhouseCoopers with progressively greater responsibilities culminating as a Manager in the Audit and Assurance group. Stuart holds a Bachelor of Commerce degree from the University of Calgary. Paul has over 25 years of operational and management experience on drilling rigs starting in 1993 as a Floorhand and rising in responsibility to Rig Manager with Nabors Drilling. In 2007, Paul became a Rig Manager for Horizon Drilling, a division of Western Energy Services, and quickly progressed through that organization as a Field Superintendent, Operations Manager and finishing in the position of General Manager in October 2015. In April 2016, Paul joined CWC as General Manager (Drilling) until his current promotion to Vice President, Operations (Drilling). Darwin has over 38 years of experience in the energy service industry. He was one of the founders of CWC when he sold his private company, Cactus Coil Tubing, to CWC in 2005. From 2000 to 2004, Darwin was the Operations Manager for Bradshaw Well Servicing, which he grew from 2 to 23 service rigs at which time it was sold to Nabors Production. From 1981 to 2000, Darwin quickly progressed from Floorhand, Derrickman, Driller, Rig Manager, Field Supervisor and eventually Area Manager for CenAlta Well Servicing. 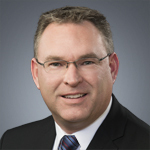 He has experience in the Foothills and central Alberta region as well as the heavy oil sector of eastern Alberta/western Saskatchewan. Bob has 27 years of operational and sales experience on drilling rigs starting in 1991 as a Leasehand and rising in responsibility to Driller for Ensign Energy Services. In 2000, Bob joined Ensign Energy Services’ sales and marketing team as Senior Sales Representative and was responsible for selling drilling services for up to 50 drilling rigs. In 2007, Bob became the Contracts Manager for Stoneham Drilling. Stoneham was purchased by Horizon Drilling, a division of Western Energy Services, in 2011 and Bob continued with Horizon Drilling in the capacity of Sales Manager rising in responsibility to Interim Vice President, Sales & Marketing before departing in 2015 for a Business Development position with Bonanza Drilling. In April 2016, Bob joined CWC as Sales & Marketing Manager (Drilling) until his current promotion to Vice President, Sales & Marketing (Drilling). Mike has over 26 years of experience in the service rig industry having started as a Floorhand and progressively moving up in responsibility to the position of Rig Manager with Alberta Gold Well Servicing and Nabors Production Services. From 2000 to 2012, Mike was a Sales Representative marketing service rig work to exploration and production companies for Nabors Production Services. In May 2012, Mike joined CWC as Sales and Marketing Manager until his current promotion on January 1, 2015 to Vice President, Sales & Marketing (Well Services).